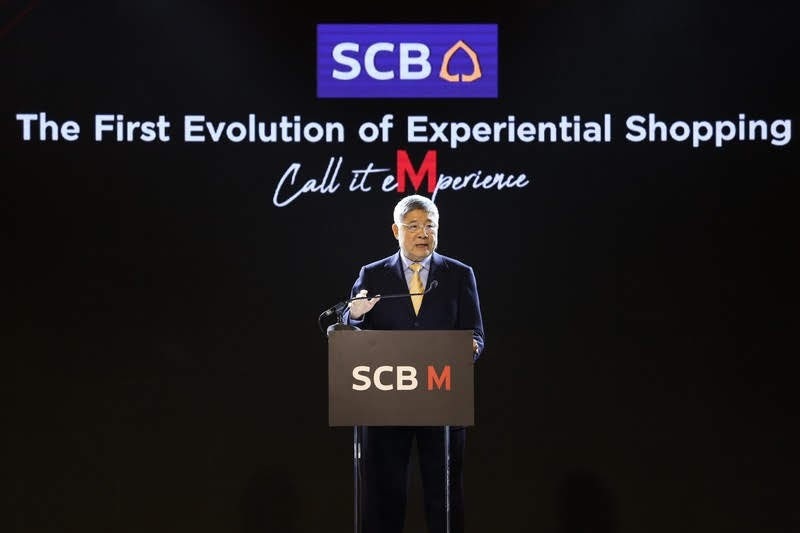 Shoppers can immerse themselves in “The First Evolution of Experiential Shopping” with financial innovations offered through four main products – “SCB M” Co-branded Cards, Payment Services, Banking Agent Services, and Retail technologies to make shopping even more enjoyable. “As a digital banking leader, SCB is committed to developing a digital platform to create and fulfill a digital technology ecosystem supporting all industries. Retail business is one of the seven targeted industries that SCB is keen to promote in the cashless ecosystem. 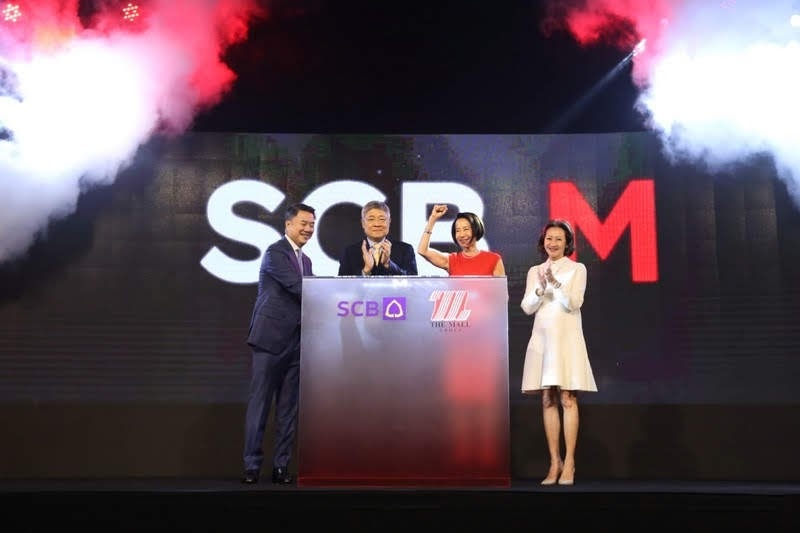 This cooperation is a major milestone that truly reflects SCB’s commitment to not remain complacent with just financial business, but to represent itself as a firm that expertly crafts new technologies to help strengthen the potential of its business partners and to explore untapped opportunities to forge closer customer engagement. We are confident that by sharing common strategic thrusts and determination, the collaboration between SCB and The Mall Group going forward will be able to raise the bar of our service standards even further, while offering new unique experiences for our mutual clients and steering our two firms to occupy a special place in our customers' hearts, becoming Thailand's “Most Admired Companies” and being everything for customers”, added Dr. Vichit Suraphongchai. 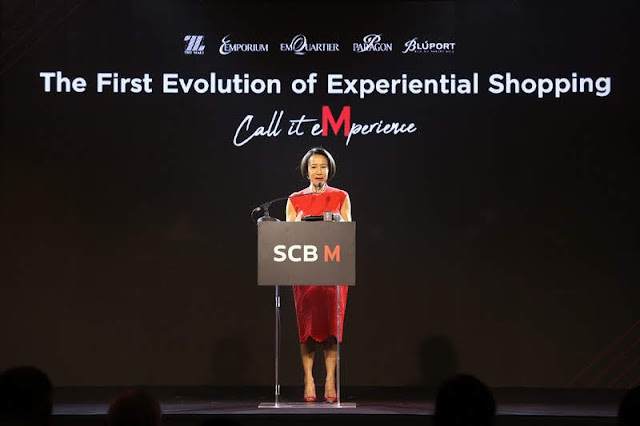 Ms. Supaluck Umpujh, Chairwoman of The Mall Group Co., Ltd. said that, “The Mall Group, as Thailand’s retail business leader, is very pleased and honored to cooperate with Siam Commercial Bank, to introduce service innovations for our customers under The First Evolution of Experiential Shopping “SCB M Call it eMperience” concept. The collaboration aims to bring customers the new experiences, create a Cashless Future Retail, a key strategy for linking retail businesses with financial institutions. In response to the government and the Ministry of Finance’s National e-Payment policy to drive Thailand to a cashless digital economy, the two firms will offer co-created products and services leveraging technology and the most advanced financial innovations. Practical for both Thai and foreign shoppers, newly introduced services will be available at every branch of The Mall, The Emporium, The Emquartier and Siam Paragon. One of The Mall Group’s main strategic thrusts is to transform itself from The Materialistic Place of Consumption to The Experiential Place of Relationships and Entertainment. Today’s shopping involves not just the purchase of products, but also a chance to understand customer insights and deliver the best experience to them to deepen their engagement. Big data has played an increasing role in connecting customer journeys to better understand their needs. Currently, The Mall Group has a turnover of approximate 400 million visitors per year, with 70% of Department Store sales generated from 4 million M card members. More than 55% of customers uses electronic payment methods, such as credit cards, debit cards, or QR payment. This collaboration will enagage in all shopping journeys. REACH : Provide Financial products serve all customer segments, including credit cards for luxury shoppers, debit cards for teenagers, and pre-paid cards for students and foreigners. INFLUENCE : Privileges which can influence decision making, such as purchase protection of goods, 0% installments for all items purchased through SCB M VISA Cards and up to 48-month installment plans through SCB M Speedy Cash Cards, and more. PURCHASE : With the Smart EDC, Cashiers can accept all kinds of payments, such as Electronic Signing and Online Shopping Website including Payment Gateways. EXTEND : Customers will spend more time at our shopping complex with Chatbot that suggest useful information and offer real-time and personalized promotions then navigate to shops or restaurants in M Card Application. REPEAT : Every spending through SCB M VISA Card will earn M Points that can be redeemed for next in-store purchase, the personal loan product designed to meet the needs of The Mall Group’s customers and to increase financial freedom. In addition, customers will also enjoy privileges offered by VISA with worldwide alliances. According to the most recent Thailand’s Most Social Power Brand 2018 survey, The Mall has been rated Thailand’s top-ranked department store, with the highest brand engagement on social media, such as Facebook, Instagram, YouTube, and Twitter. “The launch of the SCB M project heralds a new shopping era. 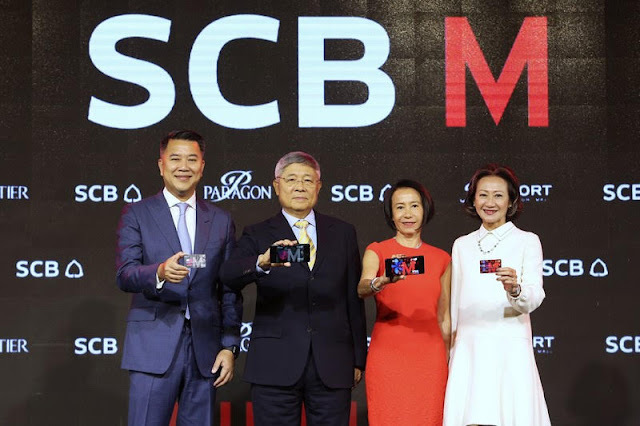 We firmly believe that this cooperation will help boost businesses in the Thailand 4.0 era and make SCB M one of the world’s leading credit cards, offering the best and most impressive shopping experience for our customers. It is expected that SCB M VISA credit and debit card will reach 500,000 cardholders with over 20 billion baht spending in the first year”, concluded Ms. Supaluck Umpujh. 1. 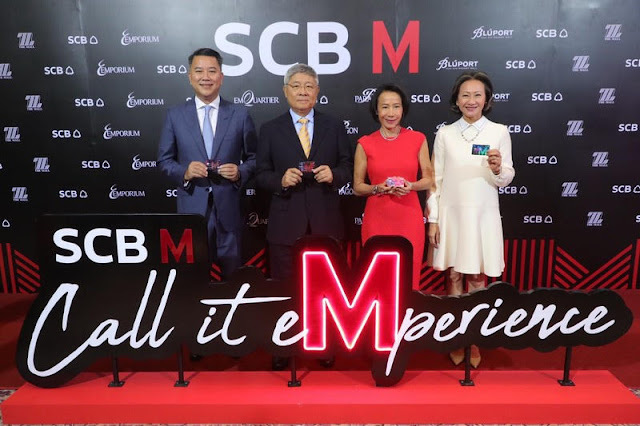 “SCB M” Co-Branded Card to offer privileges for all shopping lifestyles. 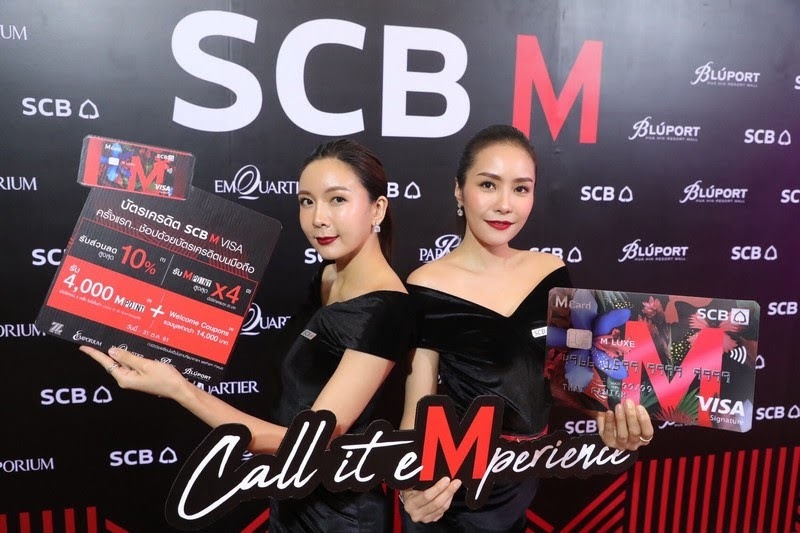 SCB M Credit Card : This co-branded card comprises the SCB M LIVE Visa Platinum Credit Card for those with monthly incomes of 15,000 baht or more, SCB M LUXE Visa Signature Credit Cards for those with monthly incomes of 100,000 baht or more, and SCB M LEGEND Visa Infinite Credit Card offered exclusively by invitation. The card benefits for shopping at all The Mall Group’s department stores, such as up to 10% discounts, earn x4 M Points, I-Reserved Parking and etc. SCB M Debit Card : First time for a debit card with a contactless feature that will allow cardholders to earn x 2 M Points for every spending and 5% discount when shopping at The Mall Group’s department stores. SCB M Visa Prepaid Card : The prepaid card that will allow cardholders to earn M Points. The card can be used at both The Mall Group’s department stores and other in-mall shops. Suitable for students and foreigners, applications are available at The Mall Group department stores and SCB Exchange Booths. 2. Payment Services: The shopping experience will never be the same with the most advanced financial technology catering to every shopping requirement in the 4.0 digital era. SMART EDC which will increase efficiency to enable cashiers to provide various payment mode, such as credit cards, debit cards, AliPay, WeChatPay, QR PromptPay, as well as, check and redeem M Points or top up prepaid cards, etc. Pay with SCB M Virtual credit card on smart phones by scanning QR Code. E-commerce Platform and Payment Gateway for online shopping. 3. Banking Agent Service: A full range of financial services for shoppers. First ever retail shopping business that lets customers purchase insurance, personal accident insurance, health insurance, car insurance, and extended product warranties. 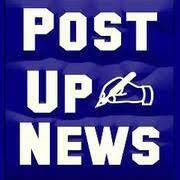 Revolving Cash cards and personal loans. Bill payment counters to accommodate utility bill payments. 4. Technology to let customers and SCB M cardholders enjoy shopping even more. 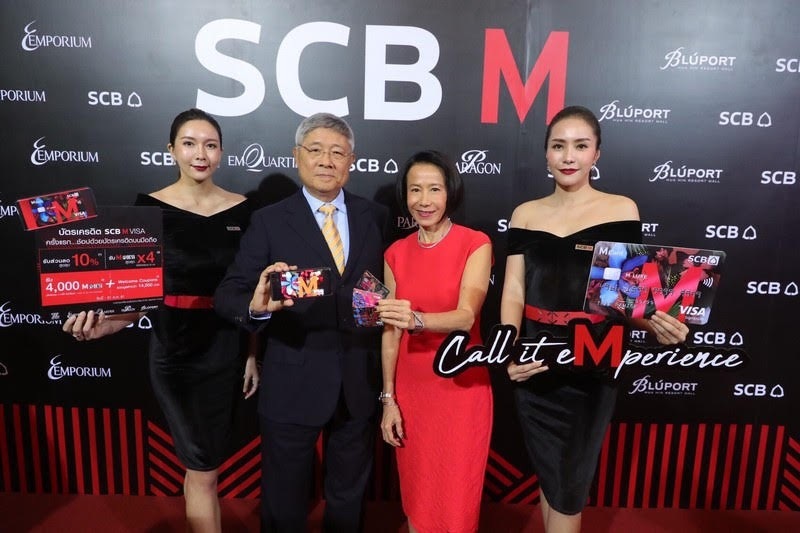 I-RESERVED PARKING: A new service for booking a space at car parking lots at The Mall Group department stores, offered exclusively to SCB M LEGEND Visa Infinite and SCB M LUXE Visa Signature cardholders. Chatbot via LINE: The Mall Group provides information and a channel to place purchase orders. Indoor Navigation: A navigation tool to help shoppers locate shops. The SCB M VISA Credit and Debit Card, SMART EDC, and I-RESERVED PARKING service technologies will be launched in August, while other products will be introduced subsequently in October 2018. Free two air tickets fly to Europe get extra 560,000 M Points to redeem for mileage when spend over 1 million baht within 3 months after activate card. Get a special privilege of 1,000 baht cash back when spending 1,000 baht. This privilege is available only for the first 100 customers apply via SCB Easy in the event. ( 3-5 August at EmQuartier, 17-19 August Siam Paragon, 9-15 August at The Mall Korat, 16-21 August at The Mall Bangkapi). Get chance to win 10 million M Points and the exclusive trip 4-day, 3-night Luxury Maldives package at Soneva Jani, including Bangkok Airways Blue Ribbon Class air tickets from Bangkok-Maldives, worth more than 4 million baht in total. Get extra 800 M Points when applying for an SCB M VISA Debit Card, and spending 1,000 baht/sales slip with the card within 30 days after receiving the card from 1 August – 30 September 2018. Get extra 30,000 M Points when spending 100,000 baht through the card within 90 days.